Are You Covered When It Comes To The Affordable Care Act? Many people hoped the ACA would simply disappear or change drastically. Not only has that not happened, the IRS has started to impose penalties. It’s best to be prepared instead of ignoring the issues. 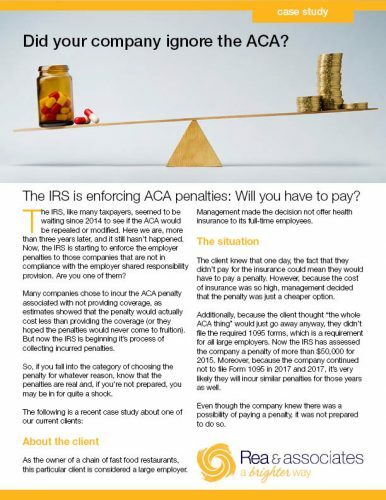 Keep scrolling to fill out the form below to download the free case study and learn about how one client incurred more than $50,000 in ACA penalties for 2015 that they did not plan for. You can also learn more about our Affordable Care Act Consulting services by checking out this helpful web page that highlights the services we regularly offer to businesses like yours. To learn more about Joe Popp, check out his bio or give him a call at 614.923.6577 to talk about your company’s current ACA situation. If phone, what is your phone number?